*Looking for a recipe? 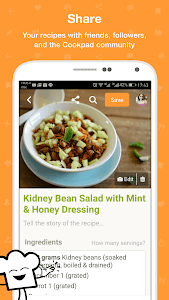 * Cookpad has tons to choose from, including main dishes, appetizers, drinks, side dishes, desserts, ethnic recipes, soups, stews and diet recipes. Recipes for everyday cooking and recipes for special occasions like Thanksgiving or Christmas. 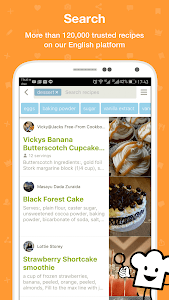 Search by ingredients you have at home or dish you want to make and start cooking at home! When you make the recipe, you can share the photo of your dish with the recipe author and so recommend it to other Cookpad users. *Cooking diary*. If you give Cookpad access to your phone pics, you'll see your cooking photos from the past 3 years in the App, next to your saved and published recipes. You can see what you cooked this time in previous years, share the photo with family or friends on the chat and plan what to make this week!! *Publish recipes*. 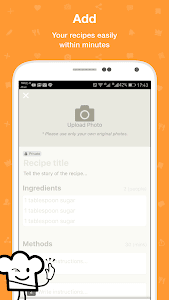 Users can publish their own recipes on Cookpad.The recipes themselves don't need to be anything fancy, and that’s another reason why Cookpad is unique. Recipes are published by real people cooking at home with clear steps and helpful photos. *Private recipes*. Always have your recipes at hand. If you don’t want to publish your recipes but do want to have them all in one place, that’s fine. Just click save, but not publish. 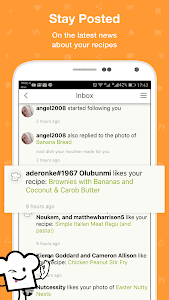 You’ll be able to share with friends and family on the Cookpad chat. But other Cookpad users won’t see them. *Chat and share*. Cookpad takes the loneliness out of cooking. 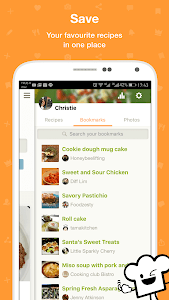 You can share recipes, cooking moments, memories, photos, advice and questions in real time on Cookpad Chat. 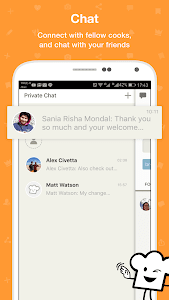 Chat one-to-one or create a group. Your private space to talk about cooking. 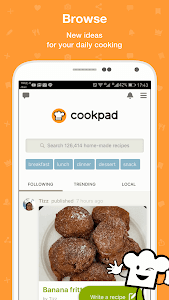 Cookpad is the World's largest homemade recipe-sharing app and is currently available in English, Español, Indonesia, العربية, Việt Nam, ไทย. Choose your preferred language the first time you start the app. When you want to switch languages and explore homemade dishes from other countries, go to settings, log out, choose another language and repeat registration process. We have helped many people to live healthier and discover the taste of real food. Join us! - Find seasonal recipes for Halloween, Thanksgiving and Christmas dinners. - We'll now let you know once you're all caught up with new activity on the feed. - You can now find recipe suggestions in your feed to help you decide what to cook today! - Bugfixes and improvements to make your experience even better! 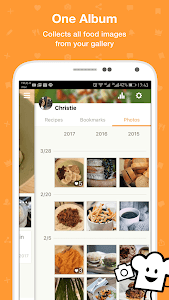 Similar to "Cookpad - home cooking recipe manager"